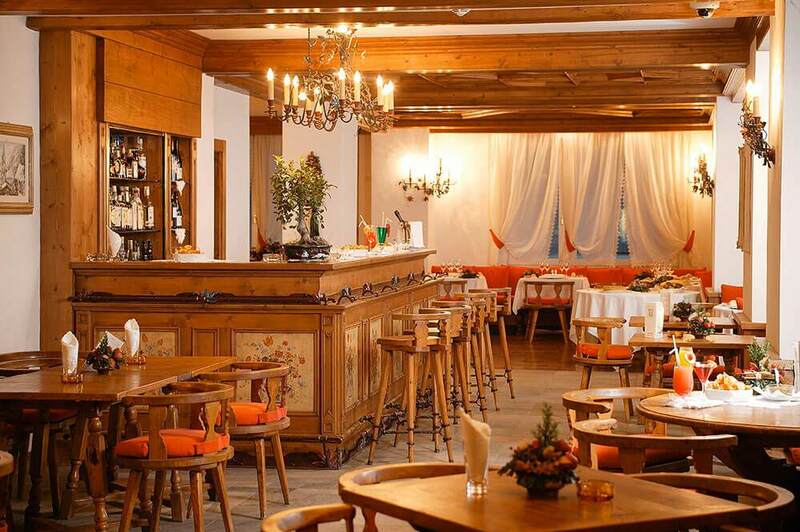 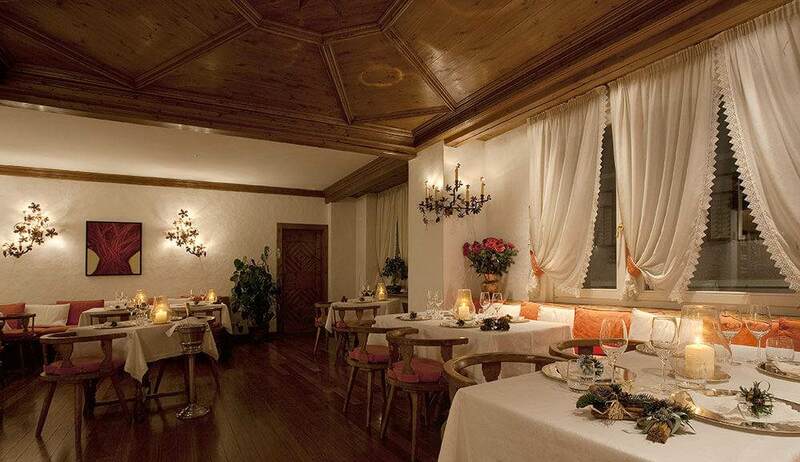 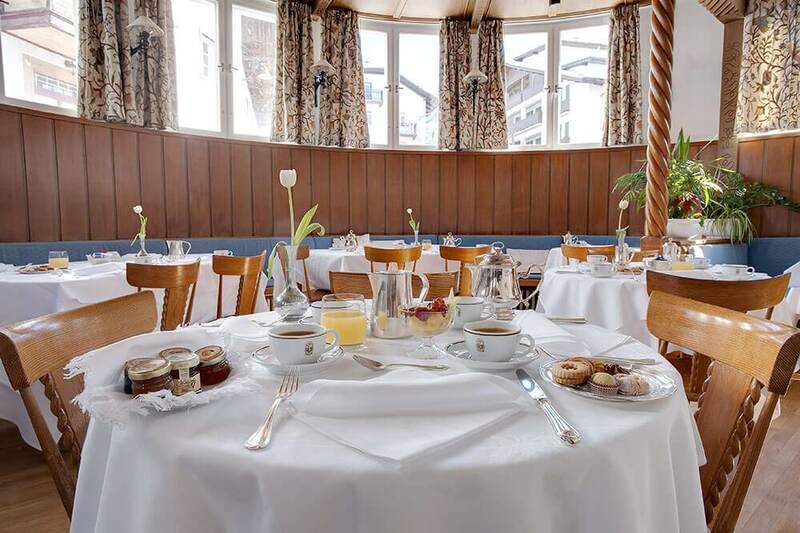 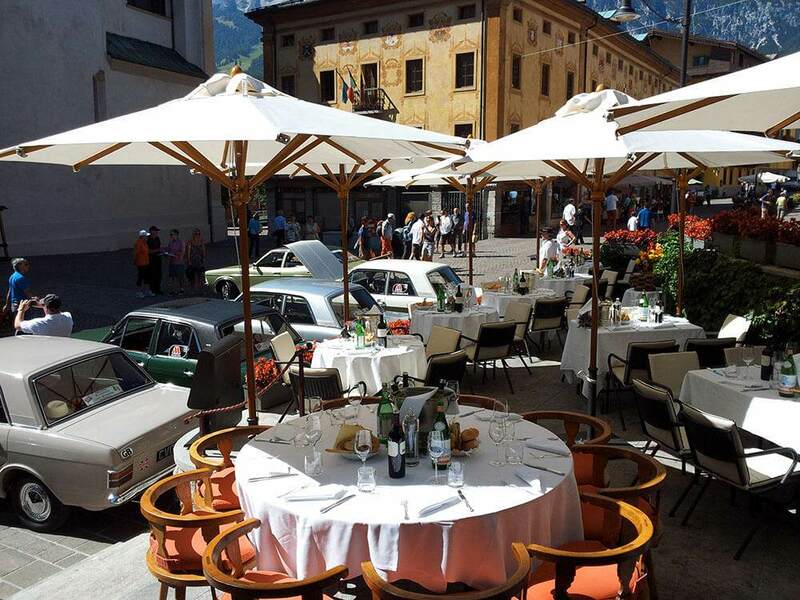 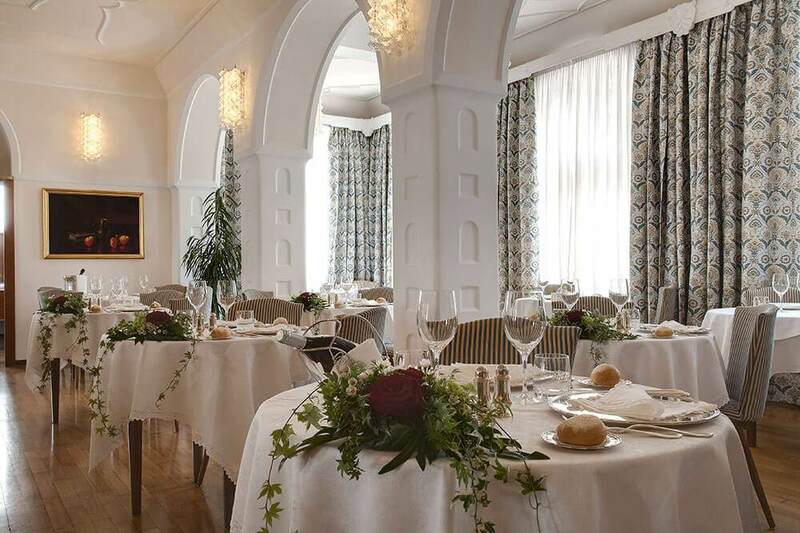 During the summer, enjoy an aperitif on the terrace of the Hotel Cortina bar, also an ideal place for an après-ski rendezvous during the skiing season; the bar is located on Corso Italia, where among boutiques and antique shops it is a place imbued with the worldliness of Cortina. 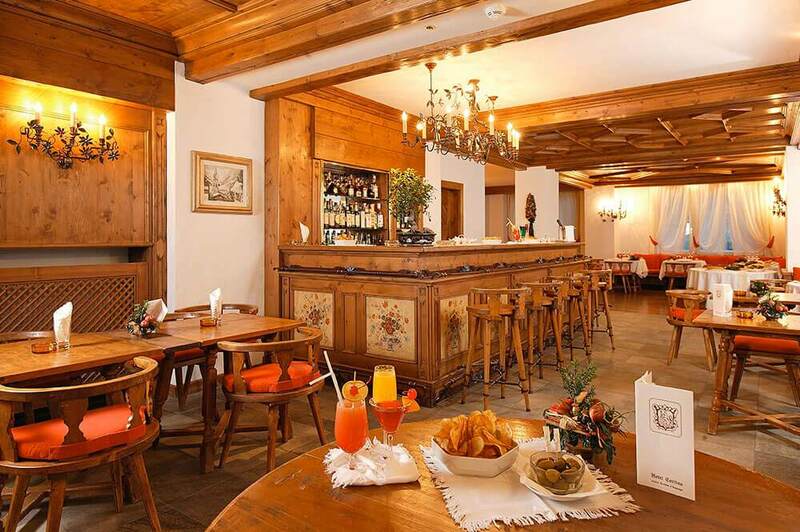 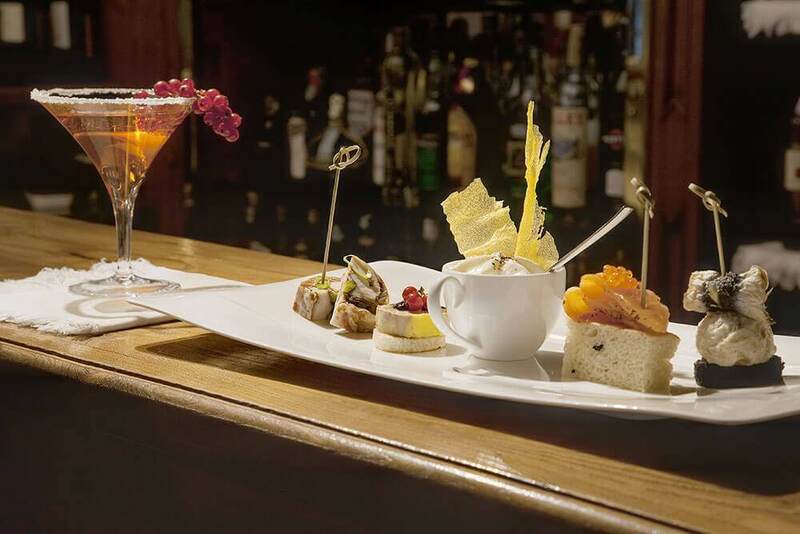 After sampling cocktails from our bartender, relax in the ‘Ristorantino’, an area of the bar in the rustic Ampezzo style where you have an opportunity to sample some delicious flambé and other specialties from our chef’s flavorful menu. 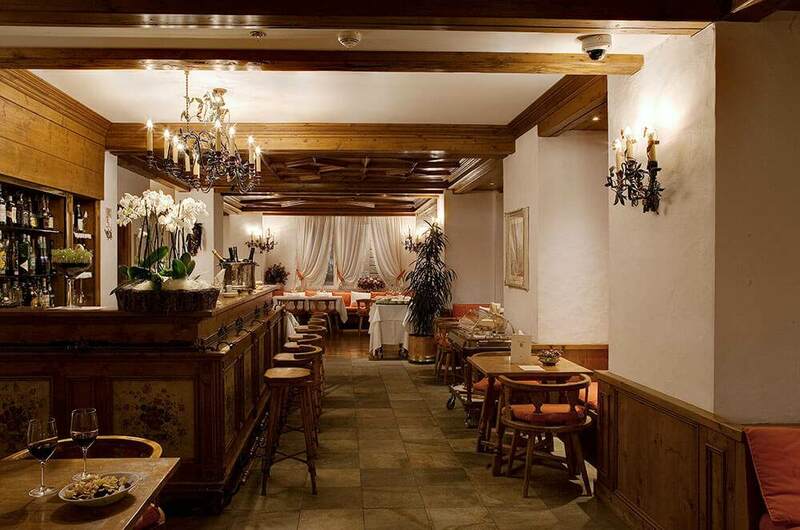 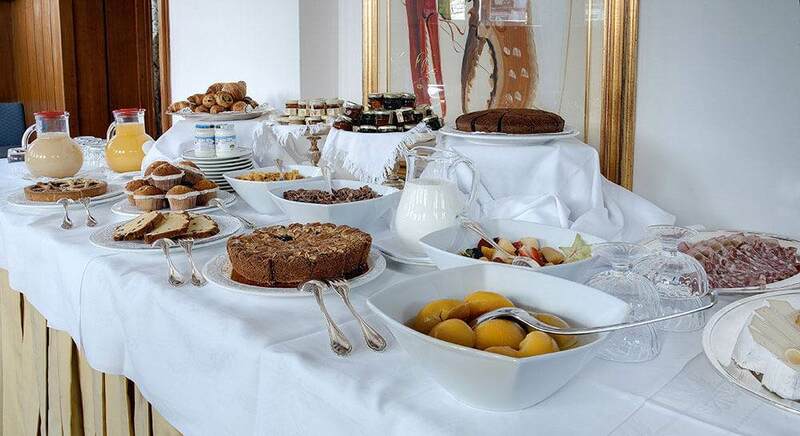 Enveloped in beautiful Liberty style decor, our restaurant kitchen serves delicious dishes from a refined menu and an exquisite continental breakfast; the ample capacity of 160 seats makes this facility suitable for banquets and receptions with a maximum participation of 200 people. 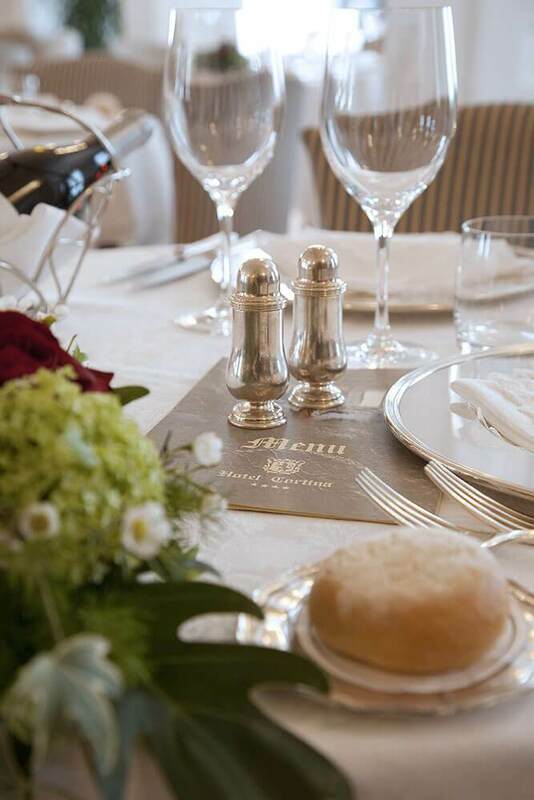 Our dishes are inspired by traditional recipes, national and international, and include delicious game, fish and specialties in pastry; the extensive selection of Italian wines recommended by our head waiter and the extraordinary house desserts complete an offering that can satisfy even the most demanding palate.